I found this great app on the Android Marketplace called Talking Compass that helps people with low or no vision with directions. It is a simple compass app that speaks the direction the user is facing every two seconds. The latest app also speaks degrees along with the direction. This app is available for free on the Android Marketplace. In order to use this app though, one must enable Text-to-speech on their phone which is a very simple process. To enable Text-to-Speech, press the “Menu” button on the home screen, and then select “Settings”. On the Settings screen, scroll down to “Text-to-Speech” and select it. If you do not have voice data installed, you will see “Install voice data” enabled. Select this option and follow the instructions to install voice data. 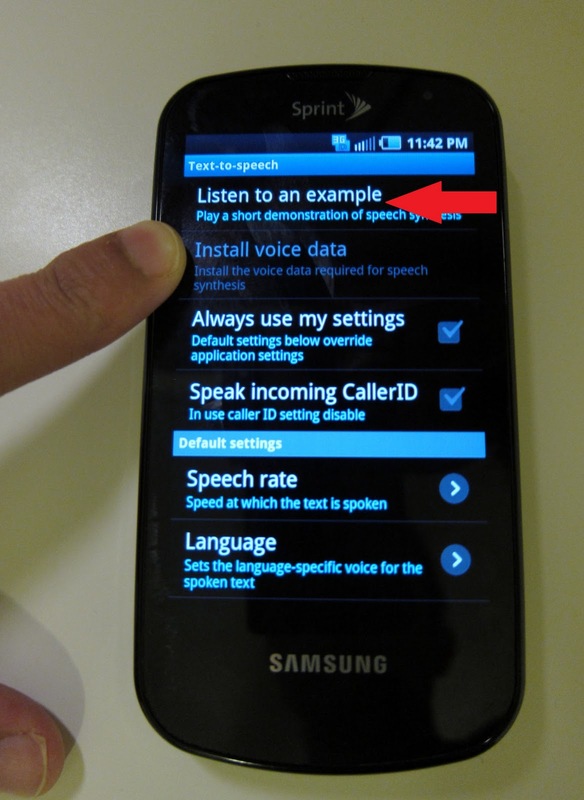 Once you are done installing voice data, come back to the “Text-to-speech” screen following the instructions listed above to hear an example, just to make sure that it works. Although the app is called “Talking Compass”, it installs as “1TalkingCompass”, and the chances of it being the first in the list of your installed apps are highly likely. Don’t go looking for it among the apps starting with “t”. Watch the video for a quick demo of the Talking Compass app. Talking Compass for Android from Venkat Rao on Vimeo.